We are pleased to inform you that M.M. 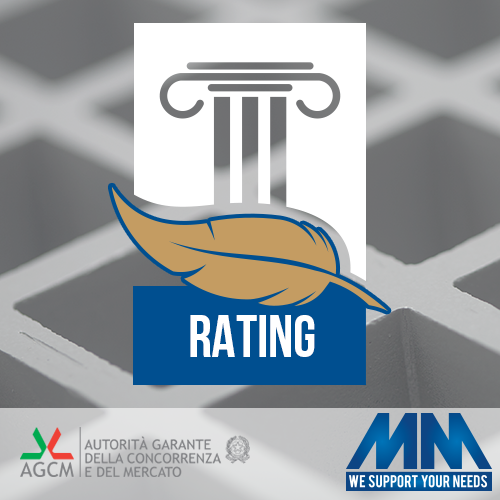 has obtained the legality rating issued by italian antitrust Authority (AGCM -). This certification is now also visible in the Company Registration Report. M.M.’s attention to the ethical behavior is by consequence more noticeable to citizens and businessmen that consult the Companies Register every day.